If you're struggling with what to get that certain someone for Christmas, be it your mum, sister, or best friend, look no further, as Aldi will soon be launching the perfect present. The budget retailer have announced that they will be selling Rest & Relax ‘pamper hampers’ ahead of the festive period, which will come filled with some of our favourite Aldi treats. Included in the delightful-sounding baskets will be some of the supermarket’s best-sellers, including their much-loved Jo Malone-inspired candles, and their luxury hand and body products. 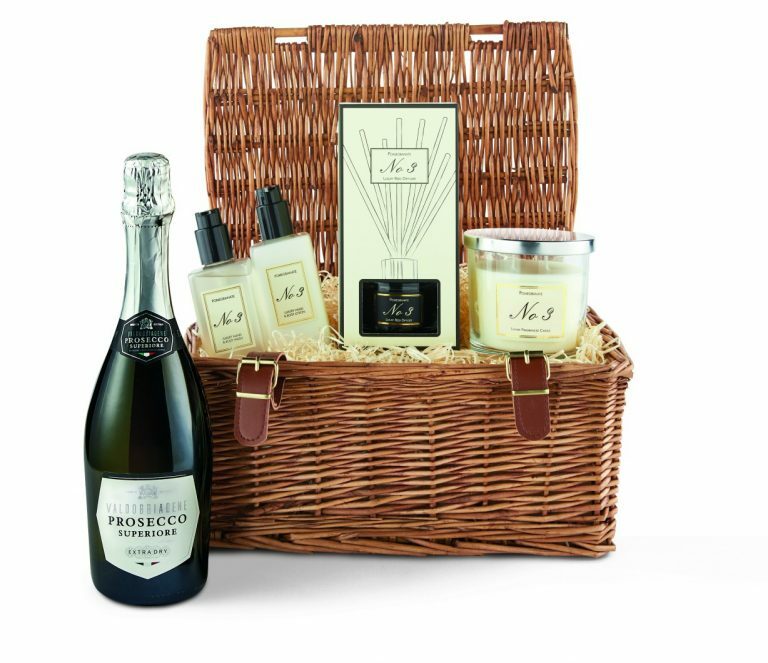 But that’s not all – perhaps the best part is the fact that the hamper will also feature a very welcome bottle of bubbly, in the form of Aldi’s most popular prosecco, their Prosecco Superiore DOCG. The perfect accompaniment for a chilled out, pamper evening! So which products specifically will you find in the hampers? Well, excited customers can look forward to their very own Luxury Collection Candle, some Hand & Body Wash, also from their Luxury collection, some Luxury Collection Hand & Body Lotion, and one of their popular reed diffusers. Customers will of course also be able to keep the chic wicker hampers the products arrive in, which would make for the perfect place to store any Christmas goodies. The hampers will come in two varieties, based on Aldi’s signature scents; one will be the No. 1 Lime, Basil and Mandarin, and the other will be the Jo Malone-esque Pomegranate scent. Aldi’s pamper hampers are also of course super-affordable. If you want to get your hands on one (for a gift or as a treat to yourself), they’ll be on sale for just £29.99. They won’t be available until next Thursday (6th December), so we’ve still got just over a week to wait. But after that, Aldi have revealed that shoppers can get free delivery for Christmas up until the 19th December, so make sure you order fast if you want one in time for the big day. You can order yours at www.aldi.co.uk/pamper-hampers. So will you be picking one up for Christmas? The pamper hampers follow on from Aldi’s hugely popular Christmas food hampers, which the store has been selling for years now. The five hampers, which range in price from £24.99 to £99.99 are packed full of festive goodies, including Christmas desserts, assorted sweet treats, bottles of booze and a few foodie classics for this time of year – such as chutneys, hot chocolate and crackers.